Stephanie Maris is a franchise and business attorney who assists people in all facets of their business including determining which growth strategies best suit their business, HR and employment matters, buying and selling businesses, and trademark and intellectual property matters. Stephanie concentrates her practice in the areas of franchising, licensing, employment, and intellectual property rights and enforcement. Originally from Kokomo, Indiana, Stephanie attended Purdue University where she attained her bachelor's degree in public relations and political science. 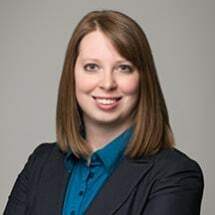 After graduating from Purdue, Stephanie went on to law school at Valparaiso University where she was an intern at the Valparaiso Sports Law Clinic, among other things.